Suntrek provides the latest in photovoltaic technology that enables you to generate your own earth-friendly power. From day one, your Suntrek solar electric system pays for itself by converting sunlight into free electricity. If the system generates more than you consume, your electric meter spins backward as you receive credit for your excess power. 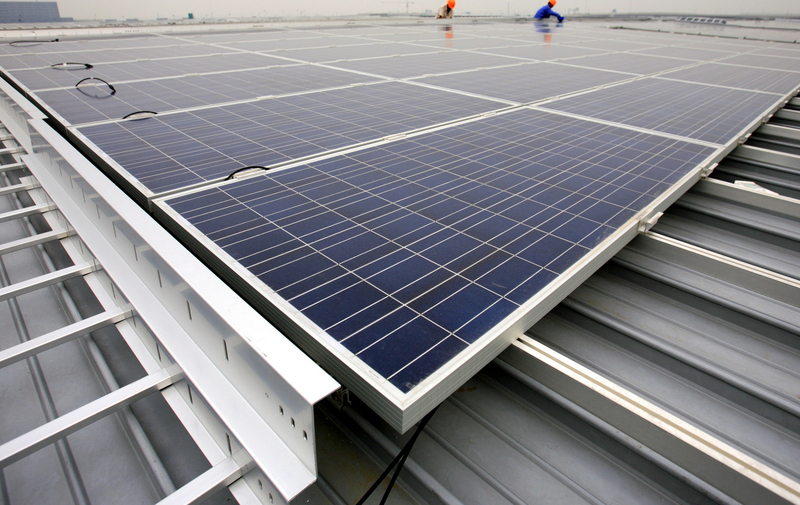 Solar modules are made up of dozens of solar cells. The sun’s rays excite the electrons within the layers of each cell. The excited electrons jump back and forth, creating DC power. The grid automatically provides additional electricity from the utility company any time you need it — at night or during the day when your demand for energy exceeds the amount of solar power you produced. Power travels from the inverter to your electrical service panel (your breaker box). The power from the electrical panel is then distributed to any electrical loads in your home or building. When you generate more electricity than you use, your extra electricity is automatically sent to the utility company. You receive credit for this power at the same rate the utility sells it to you. The flow of electricity in and out of the utility grid is measured by a utility meter, which spins backward (when you are producing more energy that you need) and forward (when you require additional electricity from the utility company).